The Kingdom of Bahrain is an Arabic island country in the Persian Gulf ruled by the Al Khalifa royal family. Saudi Arabia lies to the west and is connected to Bahrain by the King Fahd Causeway, which officially opened on 25 November 1986. Qatar is to the southeast across the Gulf of Bahrain. 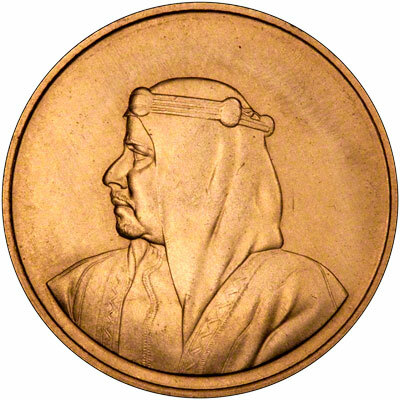 In 1782, the Al Khalifa family captured Bahrain from the Persians. In order to secure these holdings, it entered into a series of treaties with the UK during the 19th century that made Bahrain a British protectorate. The archipelago attained its independence in 1971. Bahrain's small size and central location among Persian Gulf countries require it to play a delicate balancing act in foreign affairs among its larger neighbors. Facing declining oil reserves, Bahrain has turned to petroleum processing and refining and has transformed itself into an international banking center. Sheikh HAMAD bin Isa Al Khalifa, who came to power in 1999, has pushed economic and political reforms and has worked to improve relations with the Shia community. 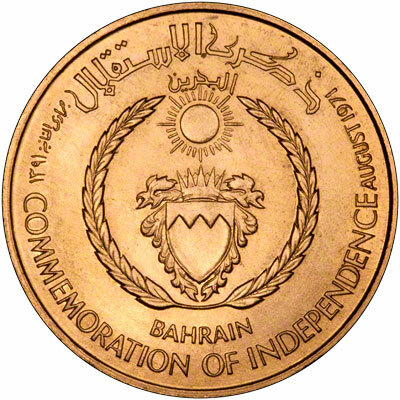 In February 2001, Bahraini voters approved a referendum on the National Action Charter - the centerpiece of Sheikh HAMAD's political liberalization program. In February 2002, Sheikh HAMAD pronounced Bahrain a constitutional monarchy and changed his status from amir to king. In October 2002, Bahrainis elected members of the lower house of Bahrain's reconstituted bicameral legislature, the National Assembly. For silver and base metal coins of Bahrain, please look at our original Chard Coins website. 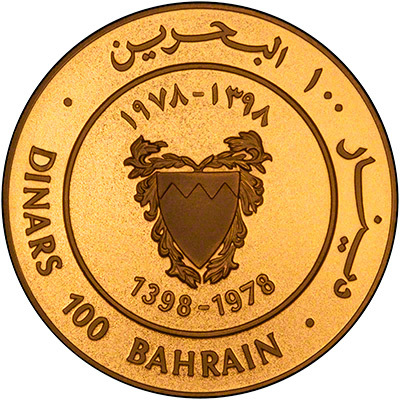 We make an active market in almost all world coins, gold or otherwise, including Bahraini gold coins. If you have any of these coins to sell, please contact us, or post them to us for appraisal and offer.